People in Dawson Creek and Fort St. John now have a new way to connect with Grande Prairie. 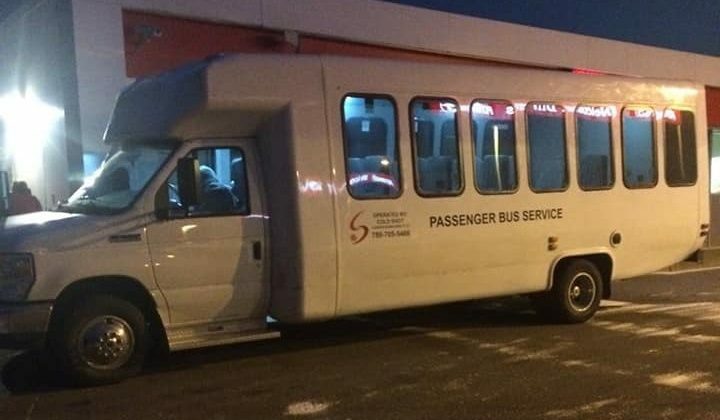 Cold Shot bus lines took its first trip across the BC border on Monday. Grande Prairie Division Owner Bill Fehr says plans for the expansion originally started in October. Cold Shot was one of three bus lines that stepped up after Greyhound left the city last October. Red Arrow and Northern Express Bus Lines are also taking passengers to and from the city. Fehr says he’s been getting daily calls from people wondering when the service would start. 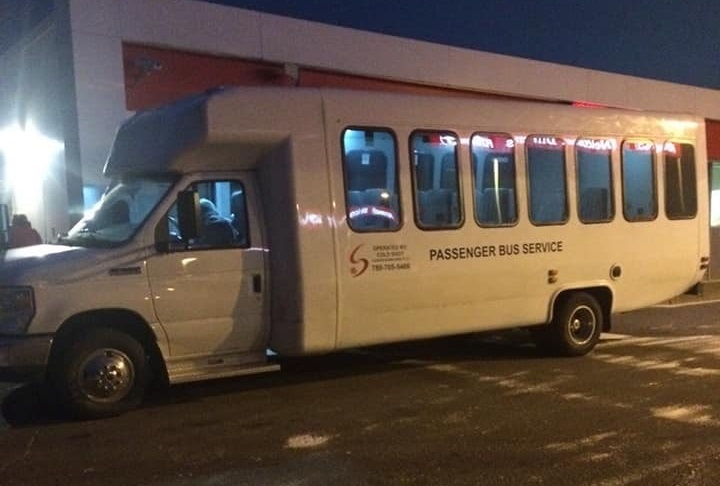 Now that it has, it will go five days a week, leaving Grande Prairie at 7:30 a.m. and arriving back in the city at around 4:40 p.m.
Once in the city, passengers will be able to connect and head on to places like Edmonton and Calgary. Fehr says that will allow people to make their appointments in the bigger cities. Fehr is hoping to continue the expansion into Prince George in the near future. People will be able to buy tickets and catch the bus at the old Greyhound building at 121 Avenue. Tickets and schedules can also be found on Cold Shot’s website.